Our number one kit for schools! 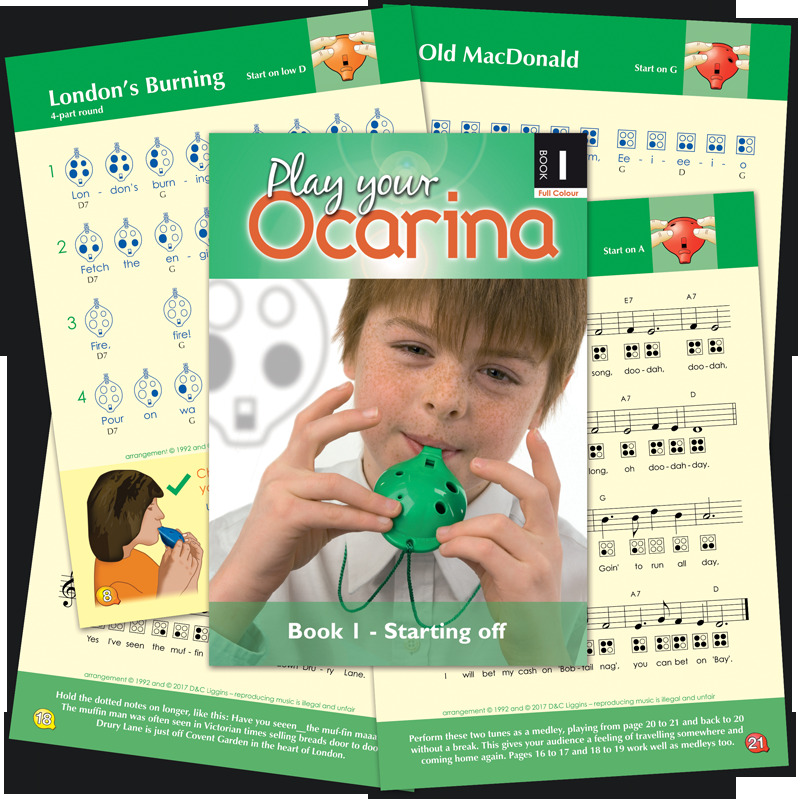 Each Ocarina Rainbow Starter Box has 12 x 4-hole Oc and 12 x 'Play your Ocarina' Book 1 new colour edition plus FREE Teaching Notes that will inspire both general class teachers and specialist musicians alike. 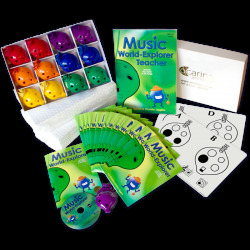 Try a box of ocarinas and books with your class today and soon your school will be filled with the sound of music. Please select the number of Starter Boxes you would like, place your order with an Education Order Number – and we will do the rest! Delivery within the UK is free. 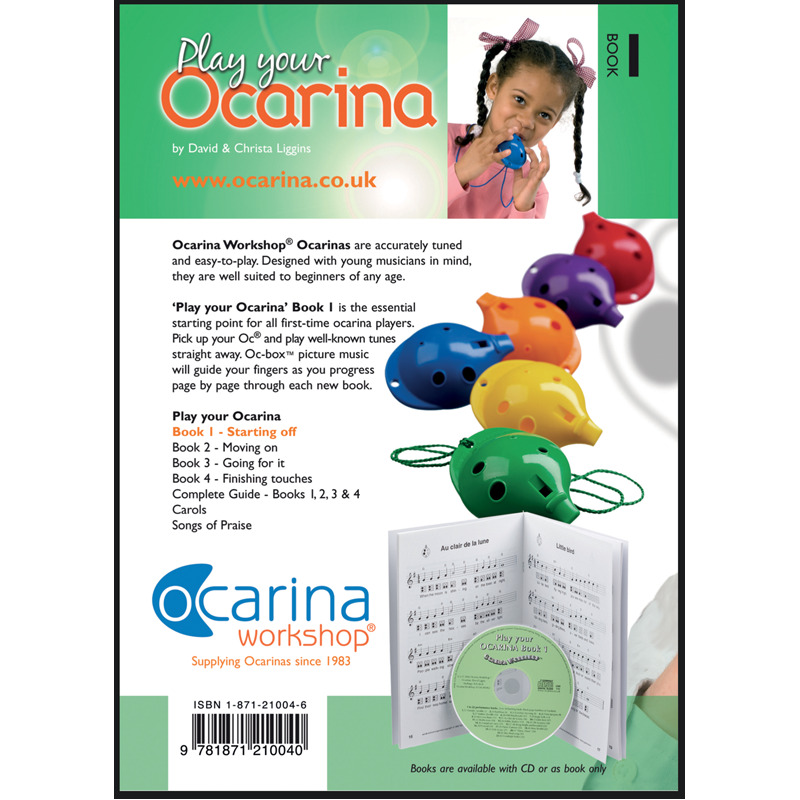 12 x 4-hole Oc® made in the UK for Ocarina Workshop from impact-resistant plastic. 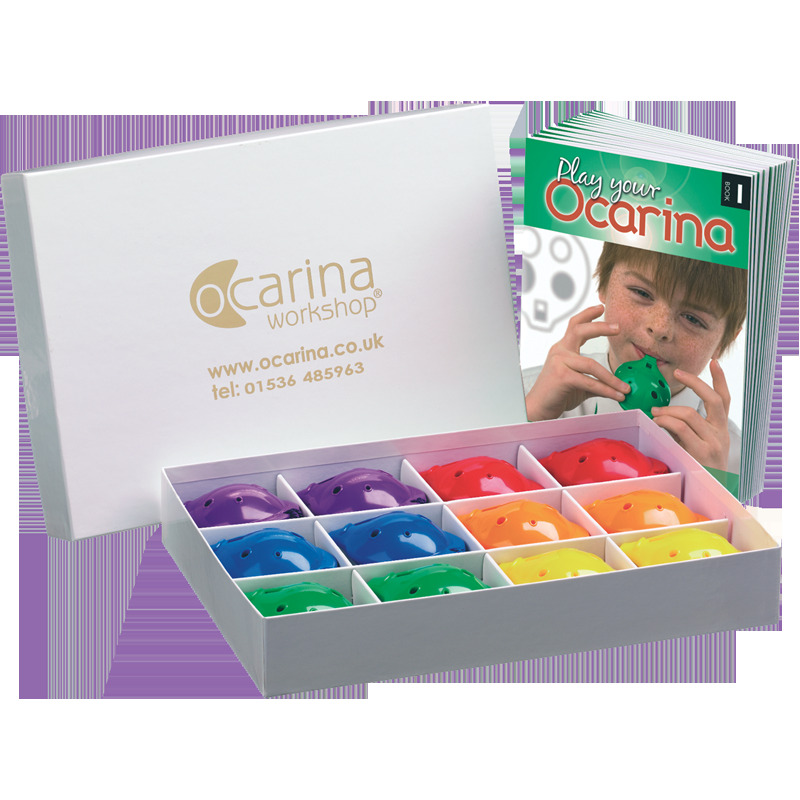 Ocarina Rainbow Starter Boxes™ each provide an ocarina and book for 12 children. Delivery is free on all UK orders. 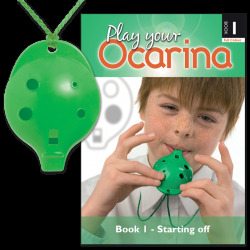 Class Music for 5 to 11 year olds has been transformed with the introduction of the Ocarina. In the hands of music specialists, primary children achieve a higher level of musical performance with the ocarina than with any other musical instrument. 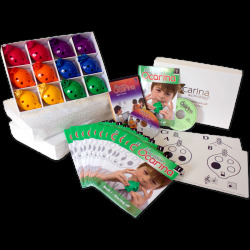 Ocarina Teaching Resources are prepared in order to enable every class teacher to lead their own classes in musical activity. For many this is revolutionary, especially if teachers have never previously played musical instruments themselves. 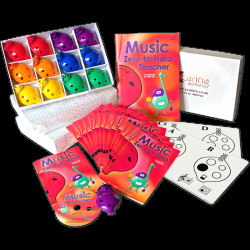 Ocarina Workshop's pledge is to provide Music for Every Child and Every Teacher™. 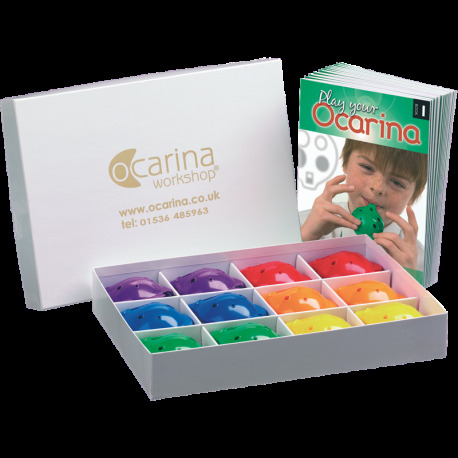 Since 1983, Ocarina Workshop ocarinas have been played in primary and secondary school classrooms throughout the UK and across the world, for whole class music taught by the class teacher, and also for clubs and groups. 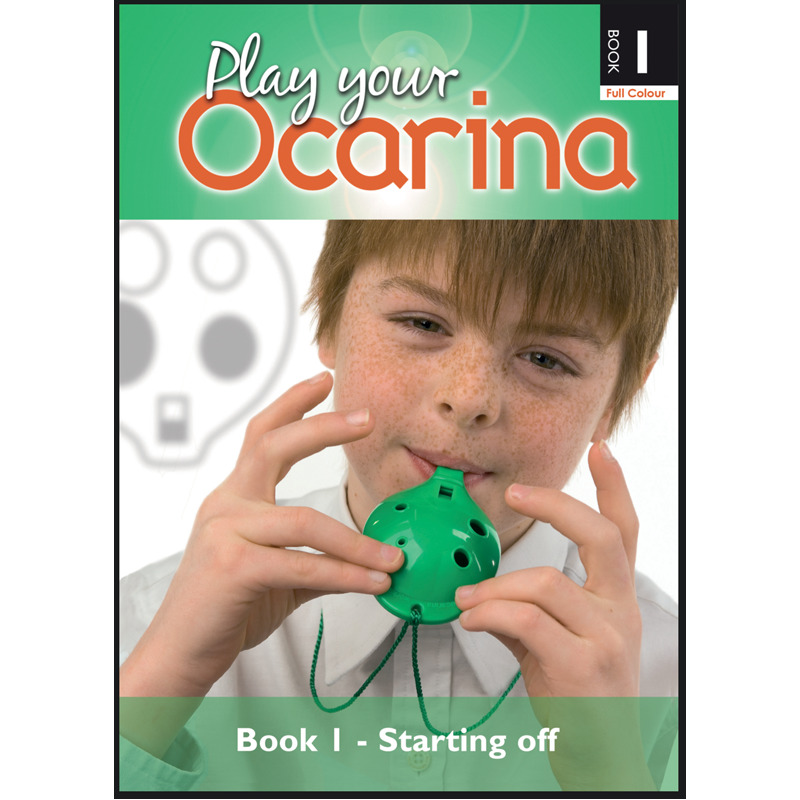 During that time, 'Play Your Ocarina – Book 1' has been the essential "starting-off book". 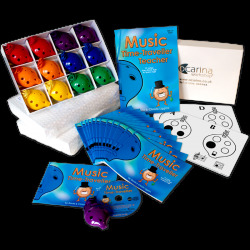 The addition of Adventurous Music-Making books, establishes the Ocarina firmly as the instrument of choice for music lessons with children aged 5 to 14. This new series has been written with current history, geography and music curriculum documents to hand, in order to bring MUSIC into every part of the school day.